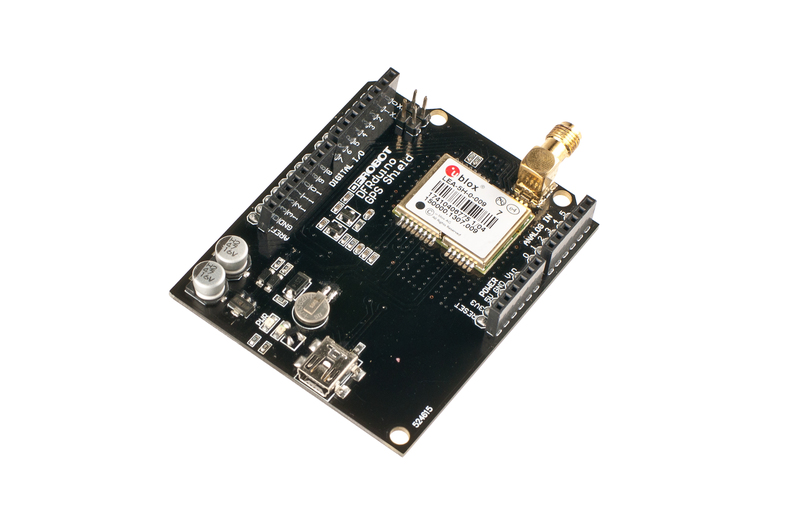 The LEA-6H is a high performance stand-alone GPS and GALILEO receiver module designed to allow easy, straightforward migration from its LEA-4 predecessors. It features u-blox' KickStart weak signal acquisition technology, as well as flexible connectivity options. The LEA-6H comes with built-in Flash memory that enables firmware updates and the storage of specific configuration settings in a non-volatile RAM. The built-in antenna supervisor supports external and active antennas, such as u-blox' ANN high performance GPS antenna. u-blox KickStart provides accelerated startup at weak signals, and our featured SuperSense® Indoor GPS is capable of tracking and acquiring even extremely weak signals. This makes the LEA-6H suitable for solutions using small or covert antennas. // #        If you'd like to drive the shield via UART interface, you may need to connect the jumpers on the board. NOTE: When you use above code.Please unplug the jumper caps before you upload the code to Arduino.And when it has been finished, don't forget to plug it back. Get DFRduino GPS Shield For Arduino (SKU:TEL0044) from DFRobot Store or DFRobot Distributor.